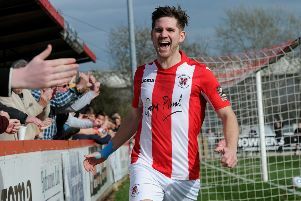 Brackley Town boss Kevin Wilkin knew just how important Saturday’s Vanarama National League North victory over play-off rivals Kidderminster Harriers was. Saints beat Harriers 3-1 to make it five wins on the spin. Jimmy Armson gave Saints the first half lead which was cancelled out by Joe Ironside’s penalty but second half goals from Lee Ndlovu and Shane Byrne’s penalty earned all three points. 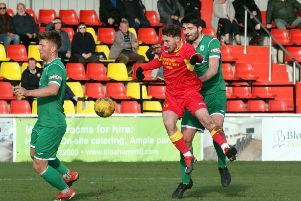 Wilkin said: “It was a massive three points, they are close on our tails and we had a difficult game at their place earlier in the season so I think the way we came out and set about our task was terrific.